The A.I. lubricant has been formulated to provide consistent results with ease of application. The lubrication gel has a balanced pH with a flow consistency that makes it easy to use in all temperature conditions. 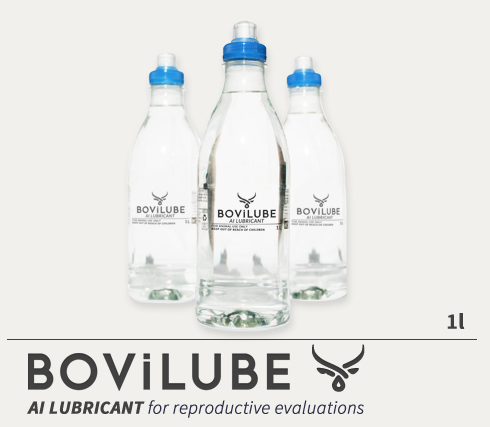 Apply BOViLUBE™ to gloves or sleeves when performing rectal examinations. One litre bottle with pop-up top for easy dispensing. For animal use only.